An card-activity lesson in which a brother and sister negociate a list of chores. There is a dialogue for to help guide the students to the task. 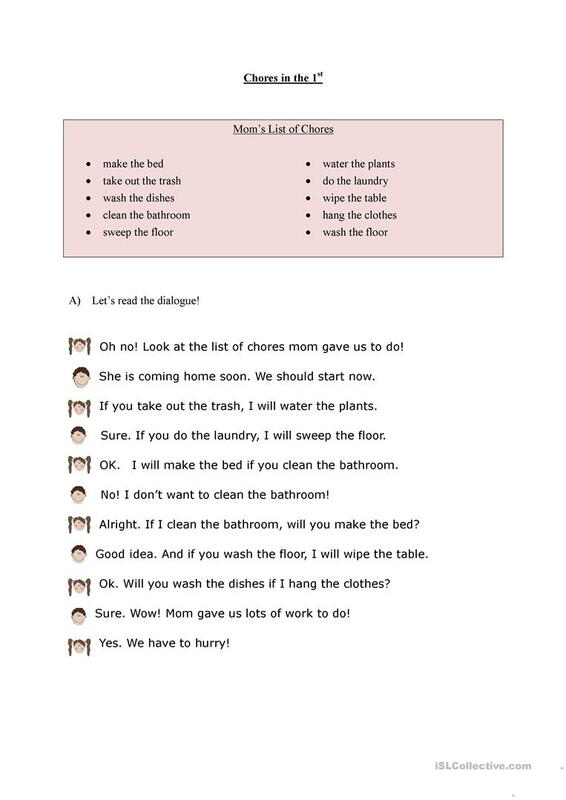 The target language is the first conditional. 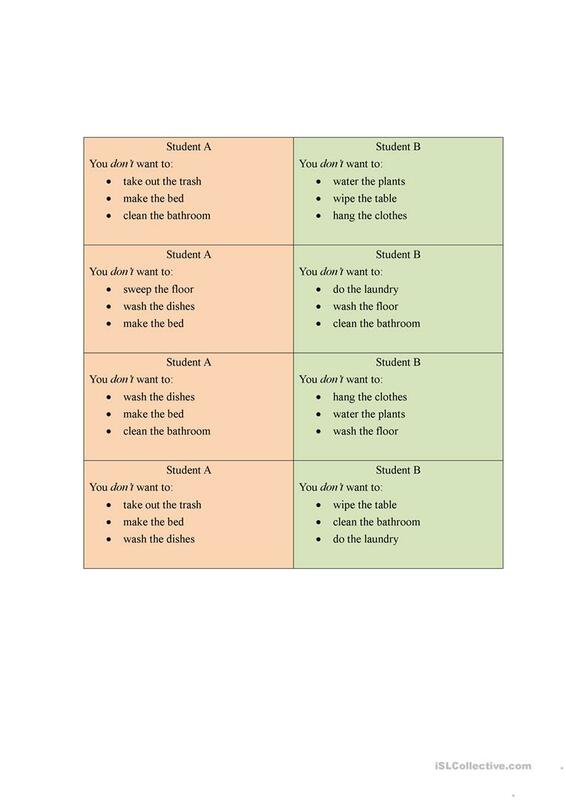 This downloadable printable was created for high school students and elementary school students at Pre-intermediate (A2) level. 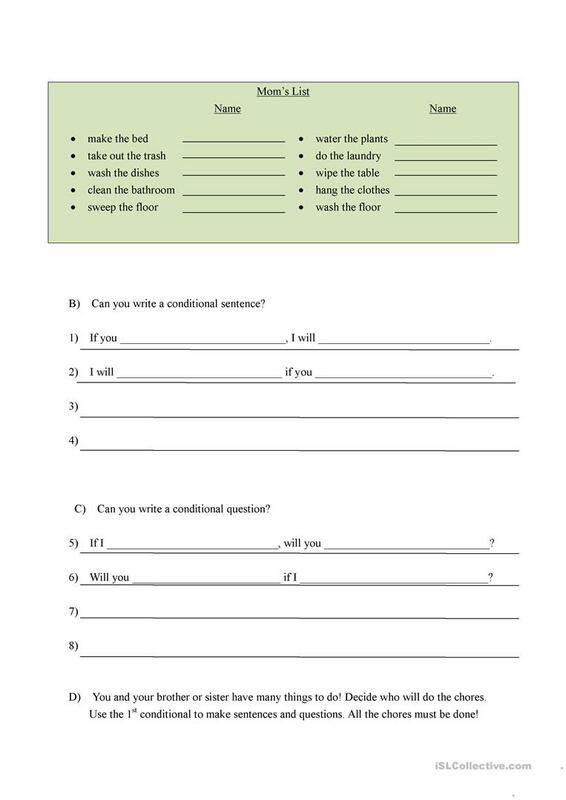 It is a useful material for practising Conditionals in English, and can be used for developing your learners' Speaking, Reading and Writing skills. It is about the theme of Daily routines. sayacintanasi is from/lives in Canada and has been a member of iSLCollective since 2011-03-17 10:03:15. sayacintanasi last logged in on 2012-07-18 08:37:36, and has shared 1 resources on iSLCollective so far.